Insomniac’s Discovery Project was created to give a voice to emerging artists in the electronic music world. Aimed at cultivating the scene’s untapped talent, the platform strives to bring today’s fresh faces to light through editorial exposure, performance competitions, and a unique artist collective. Selected Discovery Project participants are given an opportunity to showcase their talent onstage at multiple Insomniac festivals across the country. Online, our content portal provides valuable news and opinions geared to creators of all calibers, while the artist collective highlights the work and achievements of past and present Discovery artists. Now is the time to Discover your true potential. 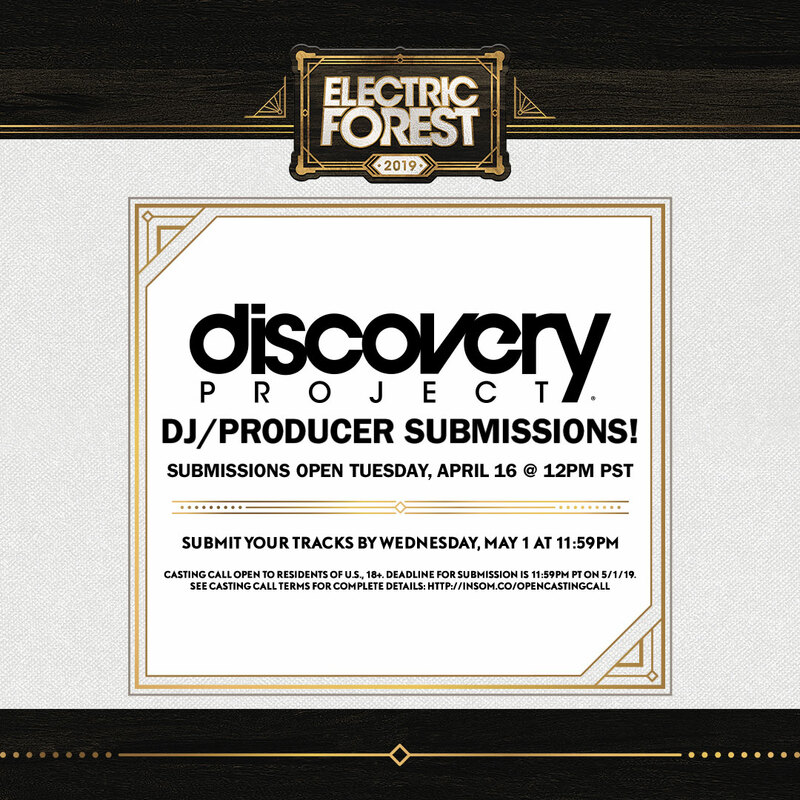 Submit your track and mix now, and you could be invited to play this year at Electric Forest! 1 artist pass & 1 guest pass. This casting call is in no way sponsored, endorsed or administered by, or associated with, Facebook, Twitter, Instagram, Soundcloud or Mixcloud. Eligibility: Discovery Project: Electric Forest Festival Booking 2019 (“Casting”) is open to legal residents of the United States of America who have a valid social security or tax ID number, who are at least eighteen (18) years of age. Any participant who is offered a festival booking contract will be subject to all applicable federal, state, and local laws and regulations. Void where prohibited. Participation constitutes your full and unconditional agreement to these Terms Administrator’s decisions, which are final and binding in all matters related to the Casting. Being offered a festival booking is contingent upon fulfilling all requirements set forth herein. Festival booking contracts will be offered through Insomniac Holdings, LLC (“Insomniac”). Sponsor: The Sponsor of the Casting is Electric Forest, LLC. Administrator: The Administrator of the Casting is Insomniac Holdings, LLC. Sponsor and Administrator are collectively referred to herein as “Casting Entities”. Timing: Administrator's clock is the official time keeping device of the Casting. The Submission Period begins at 12:00 PM Pacific Time ("PT") on April 16, 2019 and ends at 11:59 PM PT on May 1, 2019. 1. 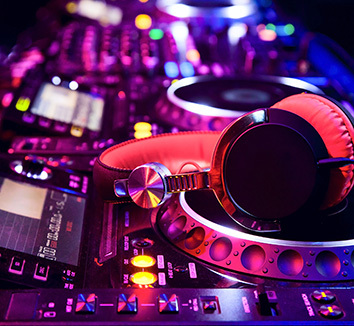 Participant must create one (1) original track ("Track") that captures or demonstrates optimal combination of originality and professionalism, and one (1) DJ Mix ("Mix") that demonstrates boldness and precision. Track should be a minimum of 3 minutes and maximum of 8 minutes in length, and must be submitted as an MP3 file with a minimum bitrate of 320 kbps. Mix should be a minimum of twenty-five (25) minutes and a maximum of thirty five (35) minutes in length. You must title and tag the Mix " Discovery Project: Electric Forest Festival Booking 2019" and create an accurate set list ("List") to accompany the DJ Mix upload. 2. Participant should then go to soundcloud.com, log into Participant's account and follow instructions to upload their original track to Soundcloud, and obtain the direct link to the track on Soundcloud.com. OPTIONAL: Participant will be asked to upload a cover art image for the Submission. Participant should use the cover art image that is provided here. 3. Participant should then go to either www.soundcloud.com or www.mixcloud.com, log into Participant's account and follow instructions to upload Mix and List, and obtain the direct link to Mix on either Soundcloud.com or Mixcloud.com. OPTIONAL: Participant will be asked to upload a cover art image for the Submission. Participant should use the cover art image that is provided here. 4. Next, Participant must go to: https://www.insomniac.com/music/discovery-project/casting-calls/electric-forest-2019-dj-producer/ and access the Submit tab to complete the Submission form which includes following the instructions to complete the form fields, upload the Soundcloud Track link and the Soundcloud or Mixcloud Mix link (“Submission”). Participant may not use any third party intellectual property in the creation of the Track or Mix. Track must be formatted to Soundcloud site requirements. Mix must be formatted to Soundcloud or Mixcloud site requirements (as applicable). Submission must be submitted by the creator. Participant must be the registered subscriber of the email account used during Submission. Participant bears all responsibility for use of any “uncleared” samples. The definition of an uncleared sample is a loop, sample or other musical work for which you do not own the copyright (i.e. : you didn’t create it). Additionally, Participant will have the option to include the link(s) to their Instagram, Facebook, or Soundcloud profiles. To participate, Participant must be a registered user of Soundcloud and/or Mixcloud ("Platforms"). If Participant is not a registered user of these sites, Participant must visit www.soundcloud.com and www.mixcloud.com, as applicable, to register for free. Registration for and use of the Platforms is subject to their terms and conditions, and Casting Entities have no responsibility with respect to such registration or use. Casting Entities are not responsible for the functionality of the Platforms, including changes that may interfere with the Submission process or the ability of a potential Participant to participate in the Casting. Participant may apply once during the Submission Period. Multiple Participants are not permitted to share the same email address or other relevant account. Casting Entities are not responsible for lost, late, incomplete, invalid, unintelligible or misdirected Submissions, which may be disqualified. All entries become the property of Administrator and none will be acknowledged or returned. During the Casting Period, qualifying Submissions may be posted onto the http://insomniac.com/discovery site via the Internet for viewing by the general public, in Casting Entities’ sole discretion. Casting Entities shall have the right to immediately remove any and all Submissions that violate these terms, in the sole direction of the Casting Entities. In the event you cannot provide all required releases, Casting Entities reserve the right, in their sole discretion, to disqualify the applicable Submission, or seek to secure the releases and clearances for Casting Entities’ benefit, or allow the applicable Submission to remain. Administrator is not obligated to use, publish, display or broadcast any Submission materials; provided however that you acknowledge that Administrator will rely on your agreement and compliance with these Terms when you submit or attempt to submit your Submission. Selected Potential Participants and Notification: Participants are restricted from any communication (announcing, telling any other person, posting online via website, blog or any social media profiles, pages or accounts) stating that they have been contacted or offered a festival booking until Administrator has fully verified eligibility and Administrator has notified Participant that they have been approved to communicate the festival booking offer. Terms of any festival booking offer are confidential. Potential participants is subject to verification by Administrator. Administrator will not accept screen shots or other evidence of participating in lieu of its validation process. Potential participants must continue to comply with all terms and conditions of these Terms, and being selected is contingent upon fulfilling all requirements. Potential selected participants will be notified by mail, email, or phone. Potential selected participants will be required to sign and return the festival booking contract and only other documents required by the Casting Entities, which must be received by Administrator within twenty-four (24) hours of the date the festival booking offer is sent to the Potential selected participant. 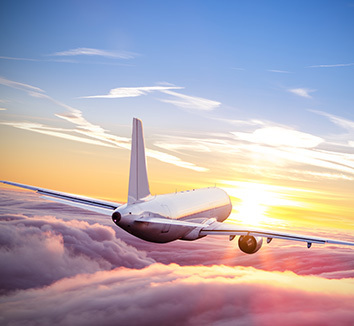 If a selected participant is a minor in his or her state of residence, the contracts must also be executed by the participant’s parents or legal guardians. If a potential selected participant cannot be contacted, fails to sign and return the contracts within the required time period (if applicable), declines the festival booking offer, or is otherwise unselected by Casting Entities, such potential selected participant forfeits the ability to be selected and Casting Entities will have no liability in respect to that potential selected participant. 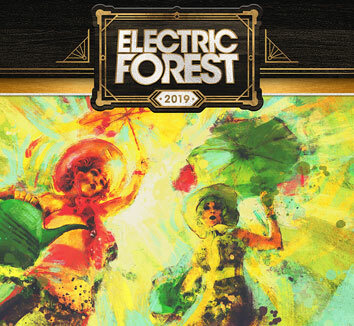 Participant(s) selected for the festival booking will receive (at Casting Entities’ sole discretion) one (1) performance spot at Electric Forest Festival in Rothbury, MI on a to be determined date during the festival which is scheduled to take place from June 27, 2019 through June 30, 2019 (“Event”). There are up to two (2) spots available. Date, time, and stage performance location for each spot is at sole discretion of Casting Entities and are subject to change or cancellation for any reason. Casting Entities are not required to fill all or any of the spots as participants are chosen in Casting Entities’ discretion. Specific spots cannot be requested and spots will be filled at our discretion. Selected participant(s) will also receive a $500 after the performance (in the form of either cash, check, wire transfer, or pre-paid cash card at Casting Entities sole discretion); one (1) artist credential and one (1) guest pass for the Event valid June 27, 2019 through June 30, 2019; and camping at the festival. Camping location to be determined at Casting Entities sole discretion. Participant and guest must abide by all festival policies: https://electricforestfestival.com/2019-info/guidelines-resources-tips/. Publicity: Except where prohibited, participation in the Casting constitutes Participant’s consent to Casting Entities’ use of Participant’s name, Submission, social media identity, likeness, photograph, voice, opinions, hometown and state for Casting purposes in connection with this Casting in any media, worldwide, without further payment or consideration. Errors and Unauthorized Activity: Casting Entities are not responsible: (1) for any incorrect or inaccurate information, whether caused by Participants, printing errors or by any of the equipment or programming associated with or utilized in the Submission; (2) for technical and/or communications malfunctions, errors or failures of any kind; (3) for unauthorized human intervention in any part of the Submission process or Casting; (4) for technical or human error which may occur in the administration of the Casting or the processing of Submissions; (5) for any injury or damage to persons or property which may be caused, directly or indirectly, in whole or in part, from your participation in the Submission process; or (6) if no Submissions are offered a festival booking contract. If for any reason a Submission is confirmed to have been erroneously deleted, lost, or otherwise destroyed or corrupted, your sole remedy is another Submission in the Casting, provided that if it is not possible to award another Submission due to discontinuance of the Casting, or any part of it, for any reason, Administrator, at its sole discretion, may elect to accept a Submission after the Submission Period. Administrator reserves the right to cancel, suspend and/or modify the Casting, or any part of it, if any fraud, technical failures or any other factor beyond Casting Entities’ reasonable control impairs the integrity or proper functioning of the Casting, as determined by Administrator in its sole discretion. Any attempt by any person to deliberately undermine the legitimate operation of the Casting may be a violation of criminal and civil law, and, should such an attempt be made, Casting Entities reserve the right to seek damages from any such person to the fullest extent permitted by law. Casting Entities’ failure to enforce any term of these Terms shall not constitute a waiver of that provision. Release: By participating in the Casting, you (a) release Casting Entities, and each of their respective parent companies, affiliates, subsidiaries, successors, assigns, agents, representatives, officers, directors, shareholders, and employees, from any and all liability for any claims, costs, injuries, losses or damages of any kind arising in connection with your Submission, including the unauthorized or illegal access to personally identifiable or sensitive information; and (b) acknowledge that the foregoing parties have neither made nor are in any manner responsible or liable for any warranty, representation or guarantee, expressed or implied, in fact or in law, relative to an offer for a festival booking.